We work closely with other professionals who, like us, have a passion for the protection of vulnerable adults, such as the elderly or people with Autism. “I recently represented the Crown in the prosecution of Ruth Bray, an Independent Living Manager employed at a care home, who abused her position to dishonestly withdraw for herself over £13,000 from the bank accounts of two of those in her care. The defendant worked for the Kent Autistic Trust, who provide support to people with Autistic Spectrum Condition. She was the manager of the KAT premises in Walderslade in Kent. One of the victims was a resident at the KAT premises. Another was a service user receiving 24-hour care. Neither had the mental capacity to deal with their finances and so had to rely upon members of their family and KAT staff to safeguard their money. Some written financial procedures were in existence. Finance books were kept for staff to record the collection of money from the bank and any expenditure. Ruth Bray had the responsibility of reconciling the finance books with bank statements to ensure that the finances were in good order and were safeguarded. In June 2011, a new member of staff happened to be dealing with paperwork around the finances. She noticed that ATM withdrawals were being made from the bank accounts that were not being recorded in the finance books. She reported her concerns anonymously to Medway Social Services. The Safeguarding Vulnerable Adults process was then sent in motion and police were informed of the concerns. Police and Social Services attended at the premises and financial documents were seized. It was found that bank cards and pin numbers were kept in unlocked filing cabinets in the office. All staff would therefore have access to them. Analysis of the accounts showed that over a three year period, over £13,000 had been taken from the two bank accounts without being recorded. In addition, a number of ATM withdrawals had been under-recorded. An analysis was carried out to determine which members of staff would have had access to the bank cards and pin numbers when these transactions took place. A percentage table was compiled to show who was on duty during the times when suspect withdrawals were made. There were 180 such withdrawals. Ruth Bray was present on 95.9% of these occasions. The percentages for the other members of staff were between 40 and 60%. Having initially denied these offences, Ruth Bray pleaded guilty a few days before her trial was due to commence. She awaits sentence. Part of the sentencing process will involve the prosecution inviting the court to make a confiscation order, by which the defendant will be ordered to repay the sums stolen from her available assets. This money will then be repaid to the victims. In our experience, the majority of carers are honest and decent people who work hard for those in their care. There are some, unfortunately, who are not so honest. If you are concerned that a friend or relative may be the victim of financial abuse you should report your concerns to the authorities. Somebody needs to lift the ‘cloak’ to prevent dishonest carers (among others) taking advantage of people in their care who cannot protect themselves. You can do this anonymously. If you are unsure who to approach in the first instance, we would be pleased to offer confidential advice and guidance. An initial call to us will cost you nothing but your time. 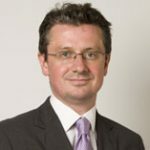 Dominic Connolly is an experienced criminal Barrister who was called to the Bar 25 years ago and principally covers serious and large-scale organised crime. He can be found at 5 St Andrew’s Hill, London EC4. Please give us a call and we will be happy to offer a FREE consultation in order to fully understand your requirements and to ensure we can offer appropriate assistance.